Martina Procházková is a Spirit Lover, a yoga teacher, writer and Spiritual activist. Lives and breathers in Prague. Founded Prague Spirit Festival in 2011. Teaches in Jivamukti yoga method for almost 10 years. Holistic experiment for body, mind and soul in the tradition of Jivamukti yoga. 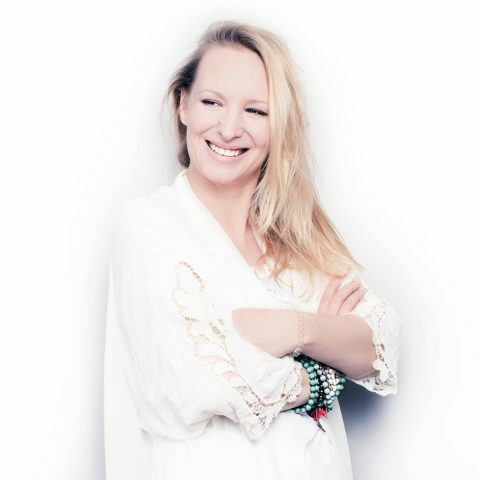 Join Marti for an intense asana practise with inteligent vinyasa krama, mystical imagery and poetical meditation. Jivamukti yoga is a a path to enlightenment through compassion for all beings. So how do we get more compassionate? We hold all the keys thanks to the ancinet teachings of yoga. Kriya, Asana, Bhakti, Pranayama, Mantra, Meditation just to name a few. A very hot and luxuriously long class. » To be wild means to be living in a state of nature and not ordinarily tame or domesticated», according to the Merriam — Webster dictionary respectively. Get ready to dive into our wilderness which equals the state of Yoga. Expect Jivamukti yoga signature sequences that will flow into a wild vinyasa dance.Yes, we will play hard, Om yeah! Interactive lecture on Yoga philosophy and psychology from the holistic perspective of getting to know the Self. From Patanjali to sustainable Sadhana. A very soft and sweet treat dedicated to calm down our body, mind, and senses. We will walk together through Yin Chakra balancing Asana sequence, breathe fully, meditate on loving kindness and lay our bodies in a deliciosly long and poetical savasana.